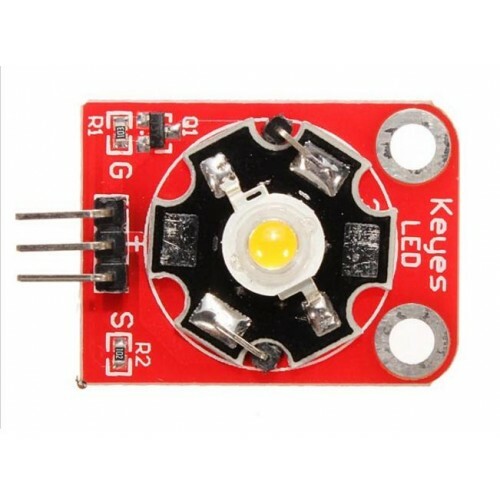 Now create bright light projects with easy digital control using this easy to use 3 watt LED module. This is a cool (gets hot!!) 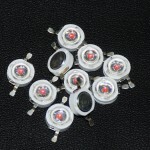 easy to use 3 watt LED module with inbuilt driver transistor so you do not have to use and external driver to control it. 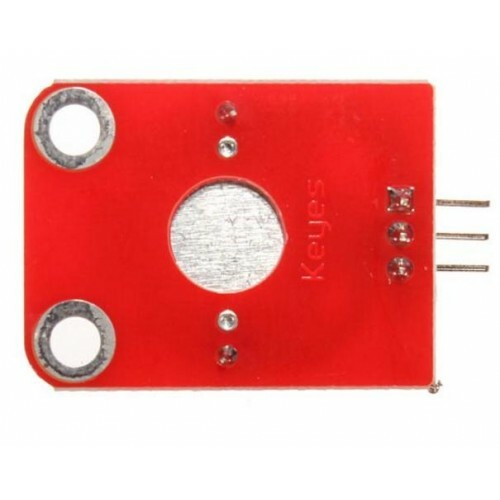 The light can Be turned ON/OFF by any pin of the Arduino moreover using PWM you can even control its intensity. 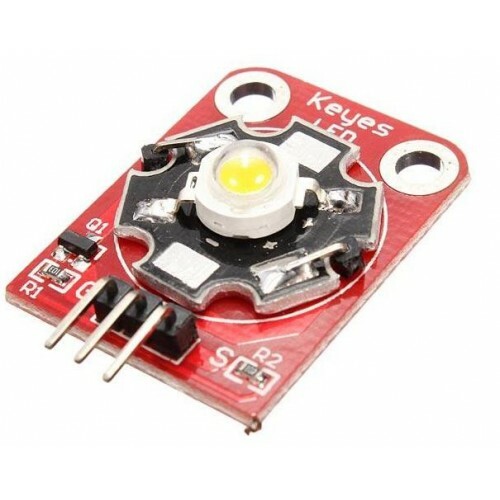 This LED Module can also be used with other Microcontrollers and even with Raspberry Pi. 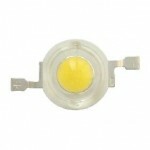 1Watt WHITE LED1Watt 3-3.5 Volts LED Emitters which emits 280Lumens @400mA, Cool White 4750-7000K CC..
1Watt RED LEDA light-emitting diode (LED) is a two-lead semiconductor light source. It is a p–n junc..